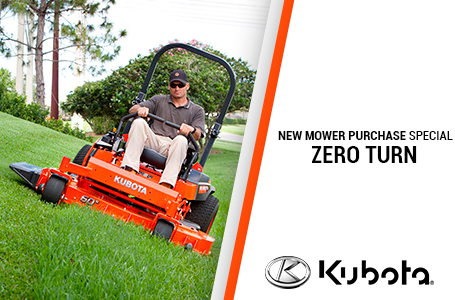 •Three-Bladed Discs: With three blades per disc Kubota mowers are constantly cutting. 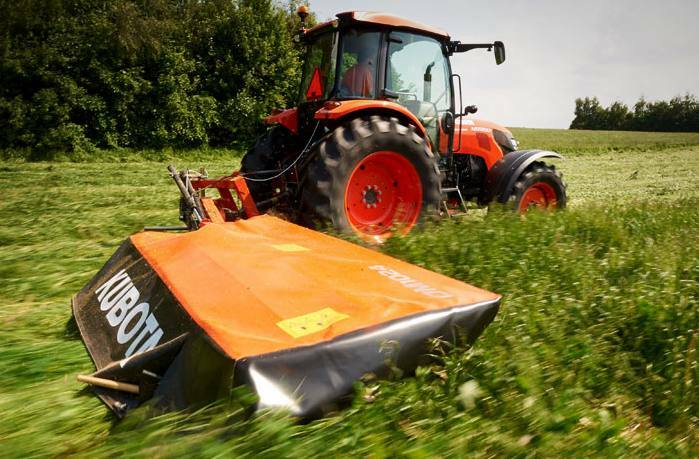 This means a third less load per blade; an even load on the drive; smoother power usage; and produces a neat, cleanly cut stubble. 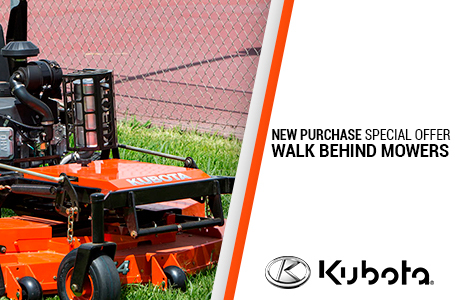 •Fully Welded Cutterbar: The fully welded Kubota cutterbar with overlapping C-channels makes for a very stiff and strong design, ensuring very high level of durability. The cutterbar’s high oil capacity ensures a very low working temperature for efficient oil cooling and lubrication of the entire cutterbar. •Vertical Transport Position: When in transport, the mowers are folded to a vertical position well behind the tractor. 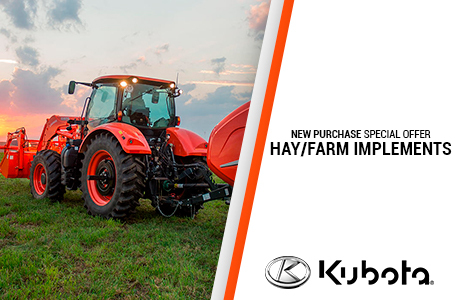 The center of gravity is close to the tractor, which ensures excellent weight distribution and transport stability. •Fast Lift on Headlands: The mower is easily lifted via a hydraulic cylinder without activating the tractor’s 3pt linkage. The advantage is less wear on tractor and machine, as the PTO stays in the same position, minimizing vibrations in the transmission. •BreakAway: When an obstacle is encountered, the DM1000 series swings backwards to protect the cutterbar. 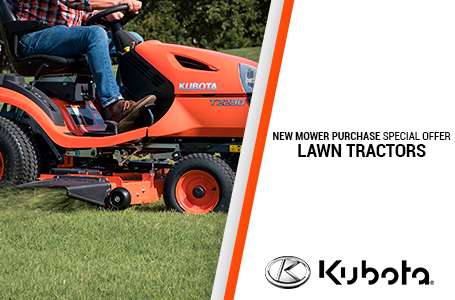 By reversing the mower is reset into working position. •Cutting Width (ft): 5 ft.6 in. •Transport Width (ft): 3 ft.9 in. •Stubble height (in): 0.78 in.-1.97 in. 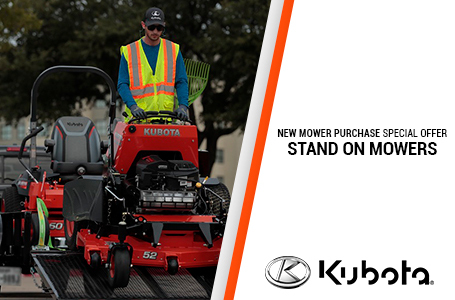 Available Working Widths: DM1017 - 5'6", DM1022 - 7'2", DM1024 - 7'9"
Fast Lift on Headlands: The mower is easily lifted via a hydraulic cylinder without activating the tractor's 3-point linkage. This causes less wear on the tractor and the machine, as the PTO stays in the same position, minimizing vibrations in the transmission. Cutting Width (ft): 5 ft.6 in.